The State of Oklahoma has been wracked by faults in an obvious and easily proven correlation with fracking but over a year ago The Oklahoma Geological Survey (OGS) revealed that they are certain fracking causes these type of earthquakes, and they much earlier than they were apparently willing to publicize. The science was kept quiet, a decision influenced by state corruption and oil industry lobbyists. The OGS first acknowledged a possible link more than a year ago between fracking and a coinciding rash of earthquakes timed and located in a way that many already suspected had ties to the fracking operation schedule. OK state had an average of 1.6 quakes per day -PER DAY – and that’s if you only count magnitudes of 3 or greater. California, a state known for its naturally unstable faultlines. The OGS first joined a U.S. Geological Survey statement from October 2013 that found human activity is a “contributing factor” to these earthquakes. OK state had an average of 1.6 quakes per day -PER DAY – and that’s if you only count magnitudes of 3 or greater. EnergyWire was able to access emails showing the state seismologist’s boss, University of Oklahoma President David Boren discussing his employee with oil executives. Seismologist Austin Holland got in trouble with Boren, some state officials as government employees and energy corporation executives had meetings about Holland’s decision to vouch for the state’s press release. Patrice Douglas, who was head of the Oklahoma Corporation Commissioner at the time, wanted to, “of course, protect the safety of Oklahomans, but also balance that with industry in the state,” read Holland’s email. Holland clearly had knowledge that fracking is linked the the seismic activity as early as 2010, which is the first time he talked to federal officials who had power outside the jurisdiction of Oklahoma. Holland claims he told them quakes around Oklahoma City were very likely triggered by gas and oil prospecting. Unfortunately, there was a chance lake levels changing due to changing rain patterns in the region were behind the quakes. Earlier in 2015, Holland admitted the industry attempted to have an influence on his lab and field work but assured reporters he did not alter any actual data. He withheld data, though, a lie of omission, considering the environmental stakes. Holland and several OGS professionals conspired to publicly play down findings they knew to be true. They publicly pretended to be skeptical to benefit themselves, fossil fuel industry and related Oklahoman elected officials. The impetus to lie was there ; in OK one out of six jobs is linked to the industry. There is a big hope that the relationship between fracking and earthquakes is false. Other states, such as Ohio last march, shut down fracking operations when similar evidence was revealed. Those states that have ordered wells shut down or imposed stricter regulations in light of earthquakes. Oklahoma is reluctant to listen to reason because of the state economy and, evidently, corruption. 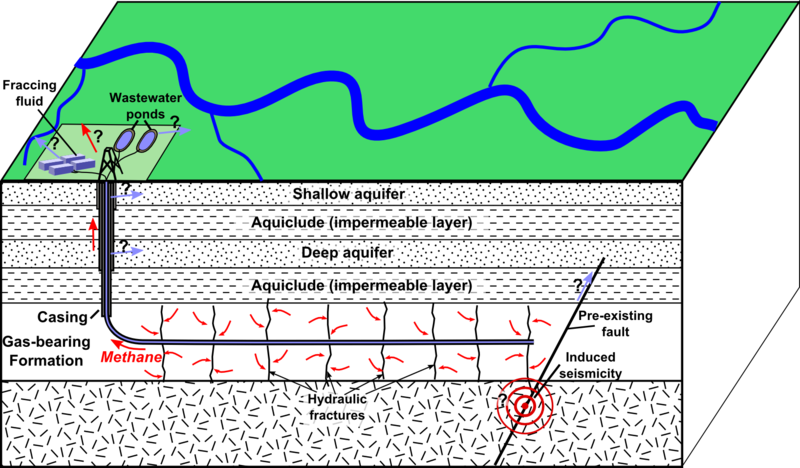 It’s ridiculous to see Oklahoma insist on allowing waste water injection near a dangerous fault that has already proven to rupture under the pressure. The fault was disturbed severely back in 2011, which caused the state’s largest-ever recorded earthquake – a monster with a magnitude of 5.7. The seismic event injured two and ruined thousands of residential and commercial areas of the state. Because of the public officials involved and the sheer number of people in on the secret, there is not likely to be a repercussion under the current system. Oklahoma is yet another in a string of states whose infrastructure, livelihood and integrity has been altered by the presence of fossil fuel extraction.